The bionic exoskeleton will never, ever cease to be an amazing product. It is, in every way, aligned with the evolution of man, from technology to function. We have developed as humans to walk, and not sit, and so a product that addresses the captivity of being wheelchair bound addresses the essence of what we are: bipedal creatures. The robotic exoskeleton technology has been breathtaking to observe as it evolves, from bulky and functional to increasingly light, mobile, and personalized. The prosthetic world is undergoing a revolution, and has never seen such advances as in the last 10 years. The work behind it, the hours of labor, the intelligence of those who are painstakingly developing these products while trying to negotiate with the FDA for home and personal use may be unseen, but the finalized product’s beauty is visible. As technology advances, however, so does the cost, and many home units of motorized prosthetics are still out of financial reach for those that need it. Phoenix by SuitX addresses these financial and functional concerns while presenting an amazing, modular, lightweight product. Weighing only 27 pounds, Phoenix allows 4 hours of continuous use between charges, and can be put on piece by piece for ease of use. Its adaptive fit also allows for a more minimalist design, which can allow for versatility and a generally more aesthetic approach. 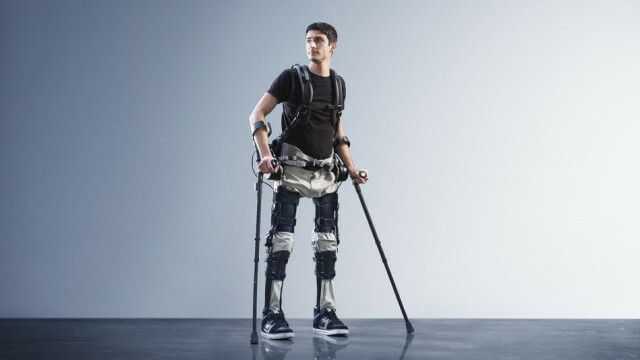 SuitX’s mission to accept feedback from its users with constant research and development, gear the product toward versatile ambulatory use, and focus on making not only a highly functional but affordable product marks the shift toward a more approachable and attainable bionic exoskeleton for paraplegics. Anyone that has ever observed anyone with a neurological injury that renders them paralyzed in the lower extremities understands the necessity of a device that allows them to stand and ambulate. A constant sedentary and inactive life wreaks havoc on a person’s health and is psychologically extremely difficult. For years, otherwise healthy and often young people have been given only a wheelchair as the answer to their injury, but thankfully this sentence is changing with devices such as Phoenix. Watch the video below for a demonstration and explanation of this amazing product. What if there was a device which allowed amputees to feel their limbs again? The loss of a limb or damage of the nerves that travel through our bodies can greatly diminish the human experience. The sensory system dictates how we respond to our environment, transmitting signals to and from our brains so we can move and feel. Pain, pressure, and temperature response are just some of the functions of the somatosensory system connected to our skin, allowing us to experience the world. In addition, our nerves have a motor component, sending signals from the brain to our muscles, telling them to work so we can move and perform tasks. Nerves function much like electrical wires, transmitting signals between the brain and areas of stimulus, like an electrical wire between a socket and device. It is this electrical current which causes signals to be transmitted. After an amputation, the nerve is severed, not only disrupting the flow of a nerve signal, but also sometimes leaving amputees with a cruel phantom limb pain, as if the limb was still there. For those with limbs still intact who suffer from nerve damage, the physical limb remains, but its function is diminished without the motor and sensory signals being transmitted. SENSY by Sensars is almost unbelievable in the amazing feat that it has sought to achieve, allowing amputees and those with nerve damage to feel again. Artificial sensors are implanted to connect to intact nerves, stimulating response in the brain as if there was an intact nerve in a limb. The sensors are connect to wires simulating an actual nerve, and those wires are implanted and connected to actual nerves within the body. Between the artificial sensors and the residual nerve is an implantable neurostimulator which is bidirectional, sending and receiving signals from both the intact nerve and the artificial sensors. The versatility of SENSY is also amazing. 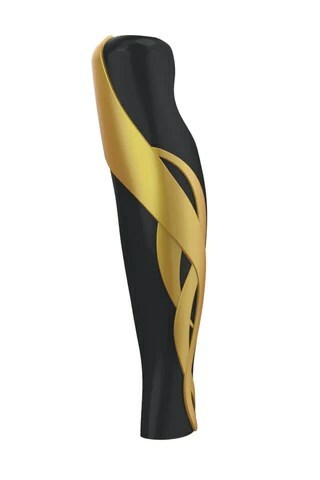 The company has a multi-functional product which targets both amputees and those with intact limbs who have nerve damage. There are 3 options, but the flow of information is essentially the same. 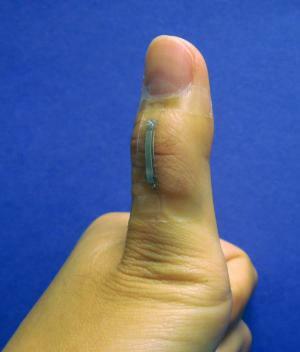 A sensor (either from artificial skin, glove/sock, or “pacemaker”) sends a signal to a controller which is able to activate that signal to an implantable neurostimulator, which causes an electrical signal to communicate with the intact nerve. Once that communication is made, the connection is made between the artificial and biological part of the nervous system, and feeling is processed in the brain. 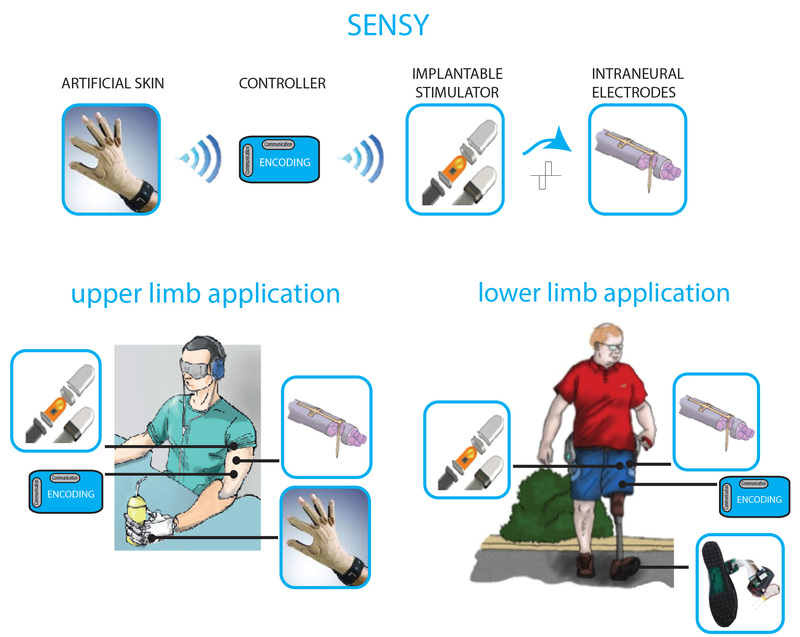 For amputees, Sensar has sought to decrease phantom limb pain and increase sensory feedback through sensors with a neuroprosthetic device which includes artificial skin. As we know, skin is very sensitive, and in this case will contain sensors which will prompt the prosthetic device to send signal through the artificial nervous system. For those with intact limbs. the company is designing socks and gloves for those with upper and lower limb nerve damage. These socks and gloves contain sensors within the fabric which act essentially as sensitized skin, also sending signals to an implanted device which communicates with the intact nerves. Finally, for those with an amputation but without prosthesis, the company has created an implantable pacemaker, essentially an excitable device like a sensor which also sends a signal to the nerve. Go to the website to read about the full and brilliant description of this product, and watch the video for a visualization of how the artificial sensors are able to communicate with an intact nerve.Still in the prototype phase and not yet available for sale, SENSY will truly impact people’s lives once it is on the market. As wearable technology progresses, monitoring activity using these devices will require more accuracy as the user interacts with the environment. From fitness trackers to prosthetics, a wearable robotic device is extremely useful if its user is able to interact and gain feedback from its use. At North Carolina State University, researchers developed a silver-based nanowire sensor to monitor changes in pressure, finger touch, strain, and bioelectronic changes. As described in the study, the sensor involves a material placed between two conductors. The silver wires are the conductors, while the material in the middle is Ecoflex silicone and serves as the electric insulator. These sensors are moveable, stretchable, and respond to pressure changes in real time, within 40 milliseconds. Between these two layers an electric charge is stored, and as the sensor is stretched or deformed in any way, this change is interpreted as energy and measured. The movements which these sensors are able to detect are walking, running, and jumping from squatting. For use in robotics devices such as exoskeletons and prosthetics, this information will become invaluable as the user will need this information in order to interact with the environment for safety and feedback purposes. The sensors can be used to ‘feel’ the environment, as well as to monitor movement and activity. For those with robotic prosthetic devices, these sensors can be used to provide important feedback to retrain the body and provide kinesthetic feedback. One of the unique attributes of these sensors is their ability to deform and change shape with movement, as they can stretch up to 150% of their original shape. 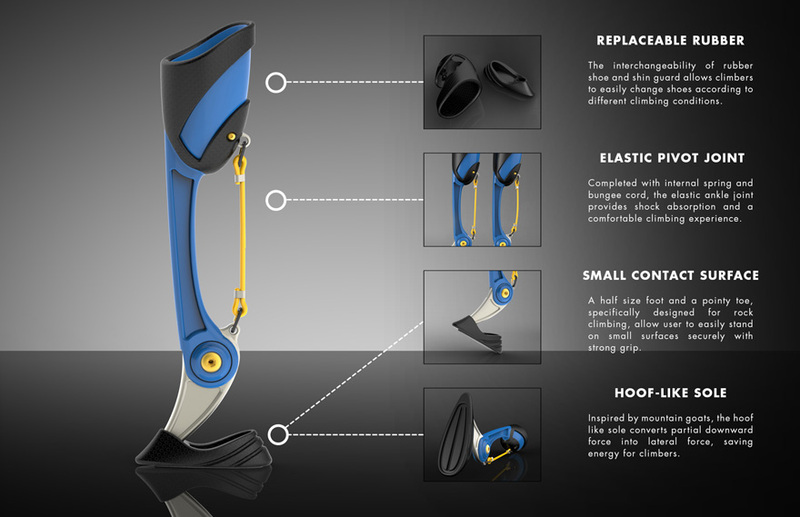 Though this isn’t quite robotic, as a rock climber, I have to share this beautifully designed prosthesis by Kai Lin, an industrial design student at the Pratt Institute. This will, once the final prototype is made, hopefully also move toward a myoelectric limb, as many prosthetics will. KLIPPA is a 3D printed prosthetic designed based on the anatomy of a mountain goat, It is a prosthesis designed for amputee rock climbers, and though the final prototype is not yet formed and is yet to be tested clinically, the design is mostly in place. If you are an active person who relies on exercise and movement to exist and feel normal, the devastation with an injury leading to amputation is not just the loss of basic functions such as walking and standing. The loss is the inability to participate in the physical activities on which you rely on to feel balanced and relieve stress. Rock climbing is athletic and mental; physically challenging while requiring upper and lower body strength, and mentally strategic in planning the route in order to ascend. 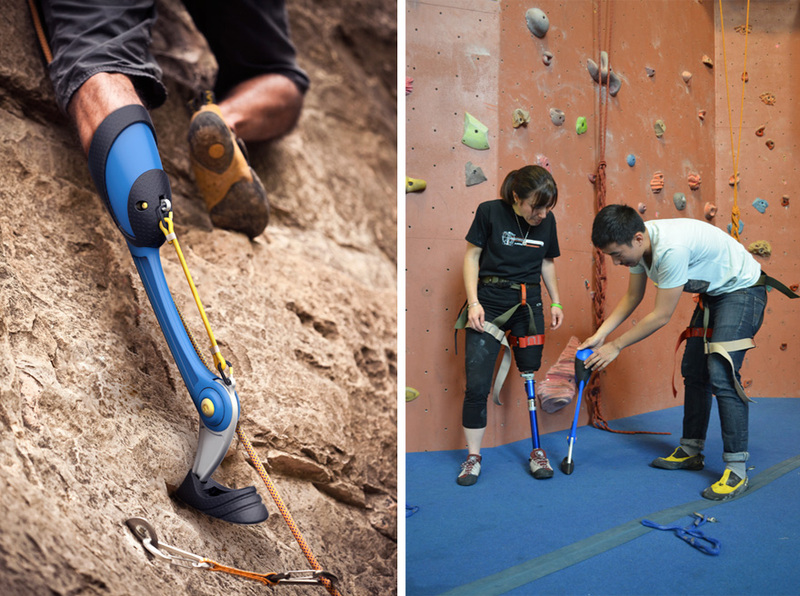 Rock climbing requires heavily on grip and pressure of the toes; most prosthetics have a bulky and functional forefoot that does not meet these requirements. In order to move upward between footholds, you must push forcefully through the front of the foot. The KLIPPA takes this into consideration and features an ankle joint with an internal spring for shock, a small contact surface so that climbers can fit onto holds and in wedges, and a hoof-like sole to provide stability. Replaceable rubber shoes and shin guards place into consideration different climbing conditions, as well as the wear and tear of the contact surfaces. I find it especially moving that this design was created after Mr. Lin found that rock climbing is the top choice of sport for veteran amputees. Please visit his page to see his sketches and other details of this thoughtful project. The age of robotics has created a new kind of athlete, and the possibilities are quite amazing. 2016 will mark the first Cybathlon, to be held in Switzerland. This will be a competition for parathletes, called “pilots,” using robot-assisted technology. The competition is an Olympics-style event, featuring six different competitions, or “disciplines.” Each discipline features pilots with a specific category of injury using an appropriate device. In this competition, both the pilots and robotics companies are allowed the opportunity to win a prize. This competition is not only a victory for the advancement of robotics beyond basic function, but more importantly for athletes with life altering injuries such as amputations and spinal cord injuries. The first competition will is an “Arms Prosthetic Race,” which features two events. Those with amputation of the arms using upper body bionic prosthetics to complete a two hand course using a loop around a wire, and a “SHAP course ADL” which is an upper body obstacle course requiring pilots to perform a series of tasks, grasping different kinds of objects in order to progress to the next. The second discipline is a BCI (brain computer interface) race, in which participants mentally race avatars through a variety of obstacle courses. This discipline is for those with spinal cord injury at neck level, which has left them paralyzed from the neck down. The discipline close to heart, however, is the “Powered Exoskeleton Race.” Did we ever think we would see a day when athletes with spinal cord injuries leaving their lower body without motor control would run in an Olympic-style event? This discipline will feature an obstacle course including stairs, ramps, slopes, narrow beam and others, ending in a final sprint. Wow. For those with spinal cord injuries leaving their trunk and upper body motor control intact, Discipline three features an FES (Functional Electrical Stimulation) bike race. An FES bike assists lower body movement while the trunk and arms work to help control the bike around a race course. A Leg Prosthetics Race and Powered Wheelchair Race comprise two other disciplines for those with lower body injuries.